It’s time to make your weekends even more FUN with 5 free rides worth RM7 each for trips on this FRIDAY to SUNDAY! Apply the Uber promo code: ENDOFWEEKFUN now. Congratulations! You are now entitled to 5 FREE rides every weekend worth RM7 each. Valid on 4 - 6 and 11 - 13 August 2017. Valid for rides in Malaysia. 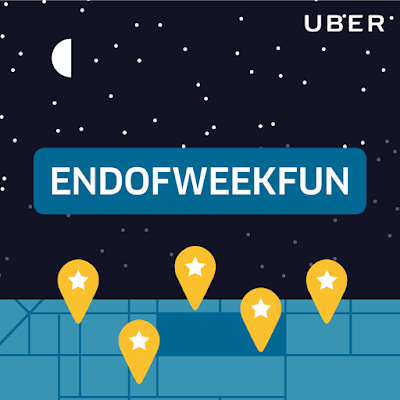 You only need to apply this Uber promo code once. You can add as many Uber promo codes to your account as you’d like, but only one will apply per trip taken. The last code entered will be the first to apply. Promos apply automatically on your next trip and there isn't a way to choose whether or not to use them on a given trip. Harga Runtuh's Pro Tip: Faster claim these two Uber promo codes: UBER10MY & UBER8MY to get FREE RM10 & RM8 discount offer in Malaysia until 31 December 2017 before they are fully redeemed and become invalid!